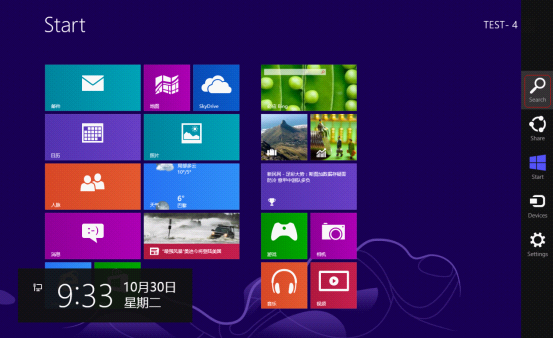 The following steps illustrate how to install a network printer on your computer using TCP/IP in Windows 8/8.1. In order to complete the steps you will need to log in to an administrator account on the computer and know details such as the printer model and IP address. Please move your mouse to the right corner and you will see Search. Click it and search Control Panel. 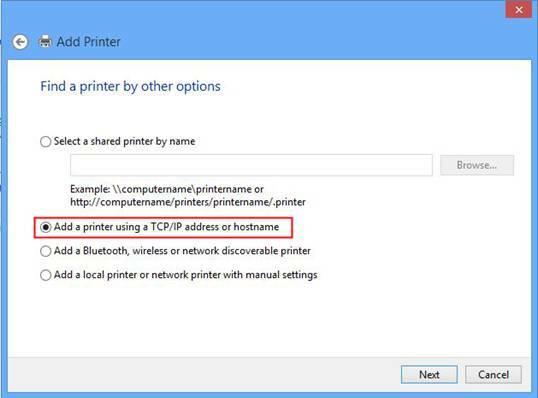 Please Select Add a Printer using a TCP/IP address or hostname, click Next. 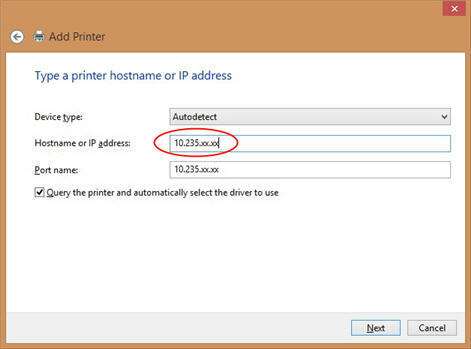 In the Hostname or IP Address field enter the IP Address for the printer you are adding. Click Next and if prompted enter your administrator credentials. 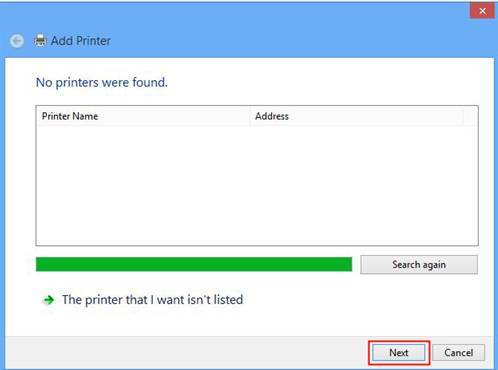 If prompted choose the driver that corresponds to your printer model (or click the Have Disk button to search for downloaded drivers) and click Next. If prompted click or tap the bullet beside Use the driver that is currently installed (recommended) and click Next. Click to put a check mark beside of Set as the default printer (if you do wish to make it your default printer). Click the Print a test page button (if you wish to do so).